with James Rawlins: 1F 30-40 with Rawlins, James; p. 126; b. KY; age 57 Re-baptized in 1850. 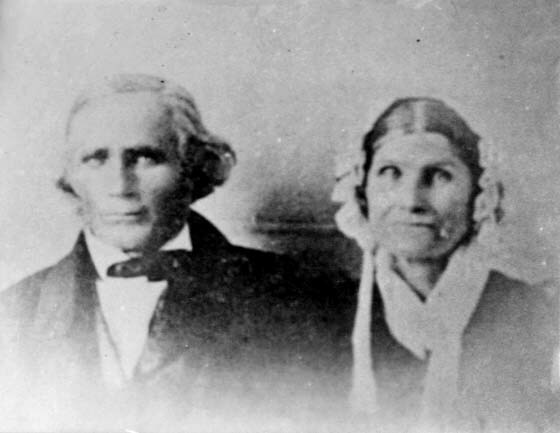 Web_Links: Patriarchal Blessing 23 Aug 1845, Nauvoo, Ill., patriarch John Smith. pg. 80 families of James Rollins, Jane; Joseph S. Rollins and Mary and Harvey M. Rowlins. Jane reported 57 and born in Kentucky. [S64] Sketch of Jane Sharp Rawlins, Ina Danielsen Burton, (Daughters of the Utah Pioneers, Read at Camp Womanho). [S40] Family Records: Rawlins, Lyle, Lyle Rawlins, Birth date and place from Lyle Rawlins. [S65] James Rawlins Life Sketch, Ina Danielson Burton, (Sketch written and read in Camp Womanho, 13 May 1966 by Daughter Ina Danielsen Burton, grea t great grandaughter.). [S66] LDS Church Records: Patriarchal Blessings, Index, 1833-1993], Church of Jesus Christ of Latter-day Saints, ([Salt Lake City : s.n., 1993?] Physical 68 microfiche ; 11 x 15 cm. ), FHL US/CAN Library Attendants' Window., Vol 9, p. 360.~~Name: Rawlins, Jane (Sharp, Mary Jane)~~Bn. : 22 Mar. 1794~~Where: Barron, ~Name: Rawlins, Jane (Sharp, Mary Jane)~~Bn. : 22 Mar. 1794~~Where: Barron. [S61] Daughters of Utah Pioneers, Read in Camp Womanho, Jane Sharp, my great, great grandmother, was born 22 March 1794 in Tennessee, the daughter. [S62] Minnie Marget's File, Name:Rawlins, Jane bn:22-Mar-1794 rebapt. 14-Dec-1856~~Whr:Brrn. Co., Kentucky co.
[S28] International Genealogical Index (R), The Church of Jesus Christ of Latter-day Saints, (Copyright (c) 1980, 1997, data as of February 1997), Film No. 1033997~~Page no. 5, This IGI Ref gives birth year as 1793. [S61] Daughters of Utah Pioneers, Read in Camp Womanho, She died 5 April 1858 at Big Cottonwood, Salt Lake County.